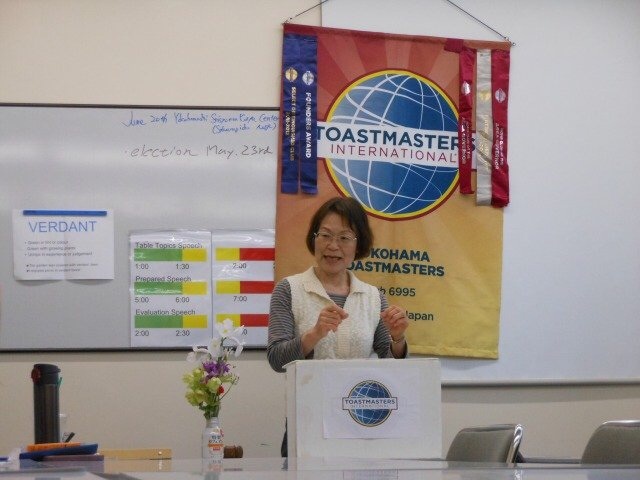 The 596th meeting was held on May 23, 2015. This meeting is characterized by three features: Officers’ election, a report on District 76 contest and an invitation of a guest speaker. 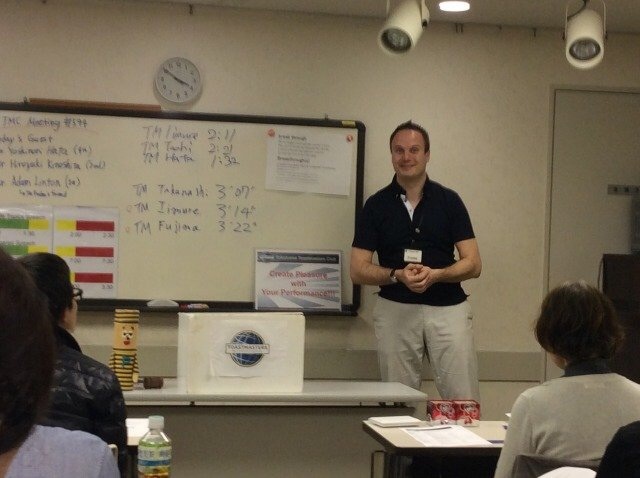 The election is one of important annual event of our club, a kind of a ritual. After the ritual, I activated a regular meeting as a master of the meeting. 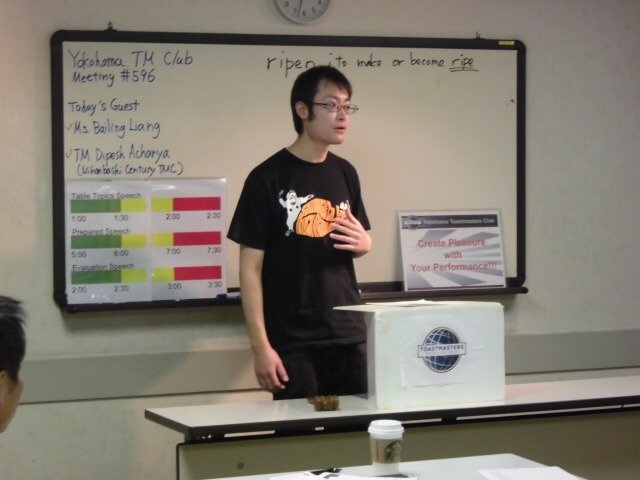 In a warming up session, we had four table topic speakers who made a two-minute speech as well as a contest report on District 76 contest, whose champion will represent the district 76 for the international contest at Las Vegas in this summer. The reporter seemed to enjoy sophisticated speeches as well as a drinking party after the contest. 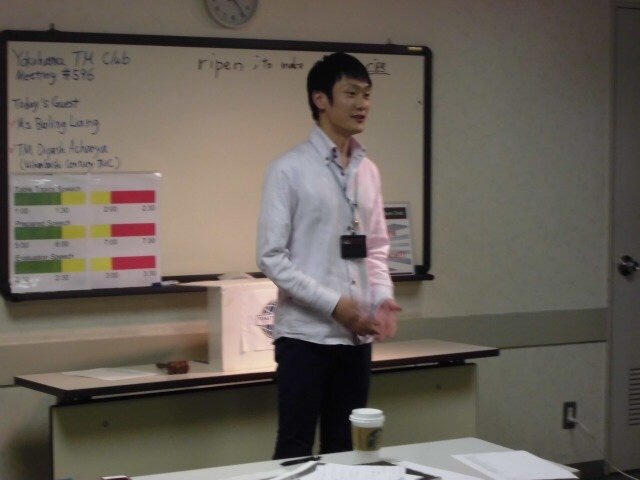 Then, we had two 7-minute speeches and two 3-minute evaluation for the speakers. 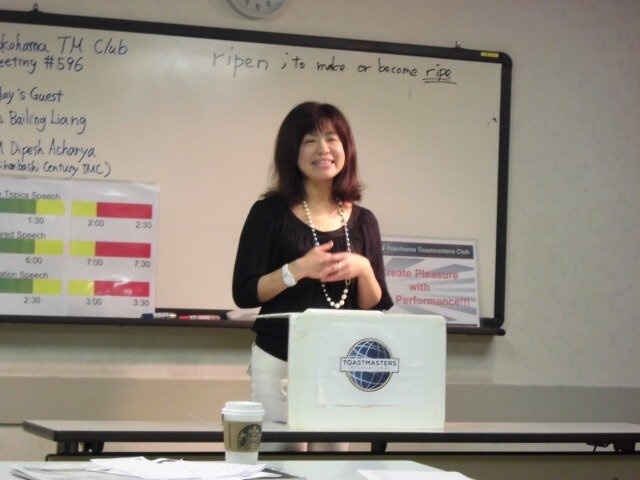 One of speeches was presented by a guest speaker from Nihonbashi century toastmasters club. 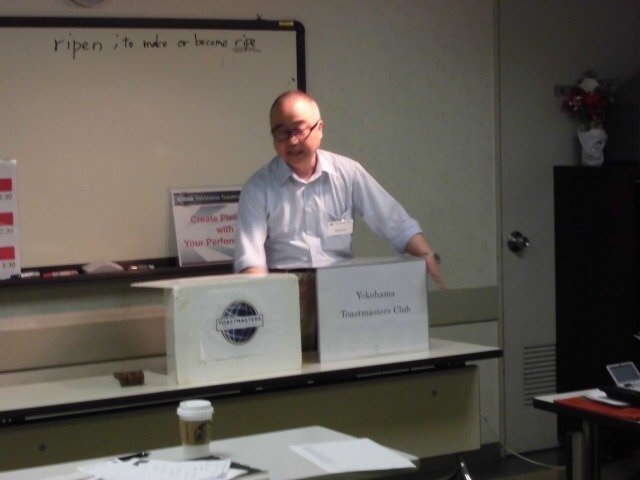 He brought a fresh air to our club by his own speech style and his own point of view, which are slightly different from our club members, I think. Honestly speaking I had no enough time to prepare for this meeting. But thank for member’s cooperation, I could successfully handle it. 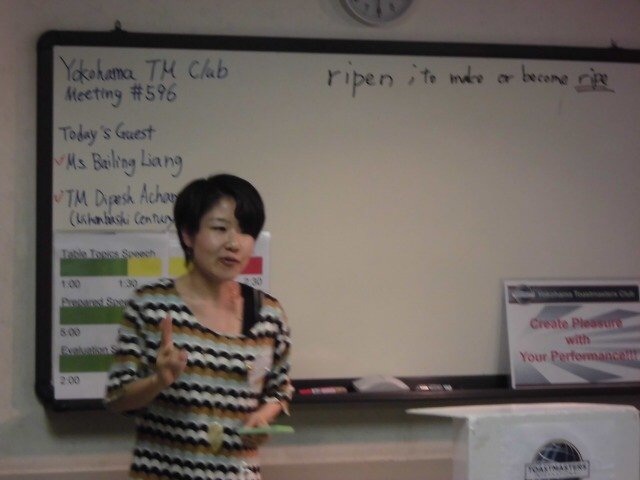 Thank you for all attendances especially the guest speaker, a mediator of a guest speaker, the election chair, and a member from Nagoya! May 2nd was middle of Golden week. lan to go to Nagano to stay in the nature. of the day was “ Verdant ”. It was fit with this season. ” Who is our leader ” (The Entertaining Speaker). 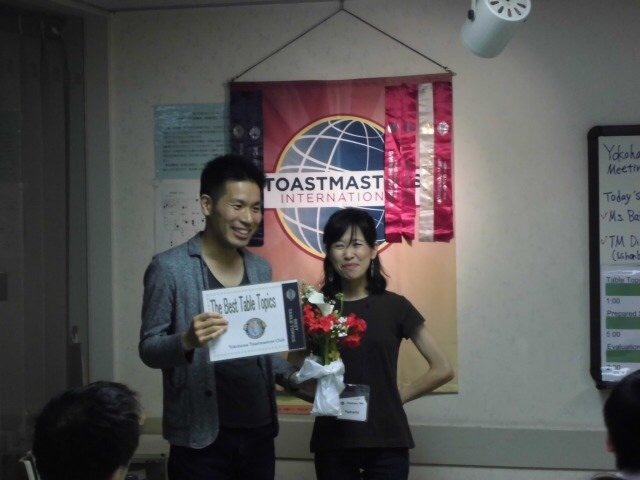 We really enjoyed interesting speeches and had fun. 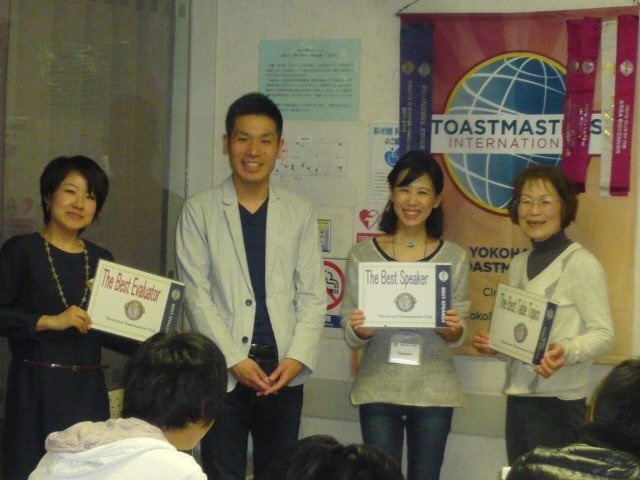 On Apr.18th we had our 594th regular meeting in Seishonen Ikuseikaikan. Despite very tight schedule and the situation of less participants,everyone accepted each role kindly. And thanks to them we could finish our meeting very successfully. 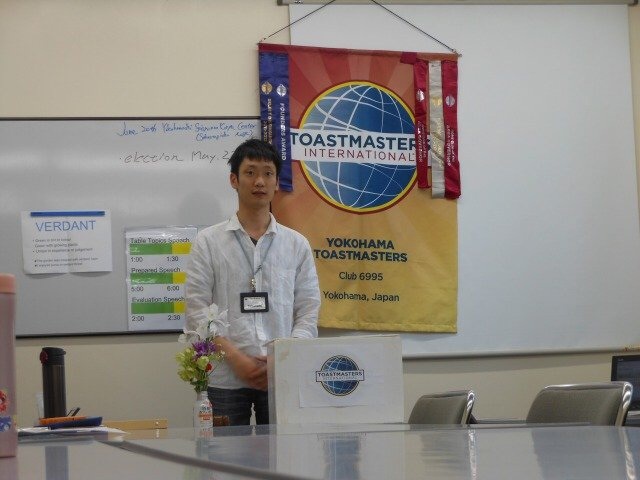 Today we have an Induction ceremony for new member,TM Y.H. 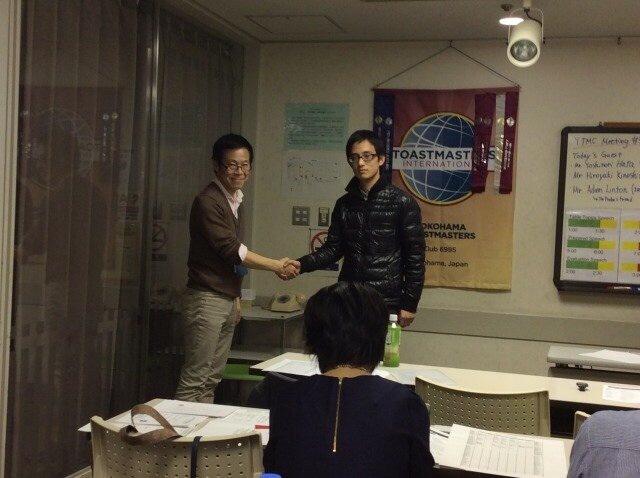 We were really glad to welcome our new member who has strong motivation. 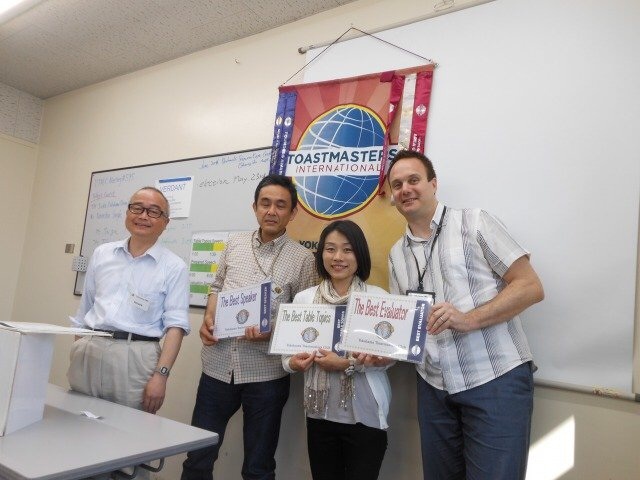 In an educational session we had three speakers, TM M.F, TM R.K and TM Y.Y. 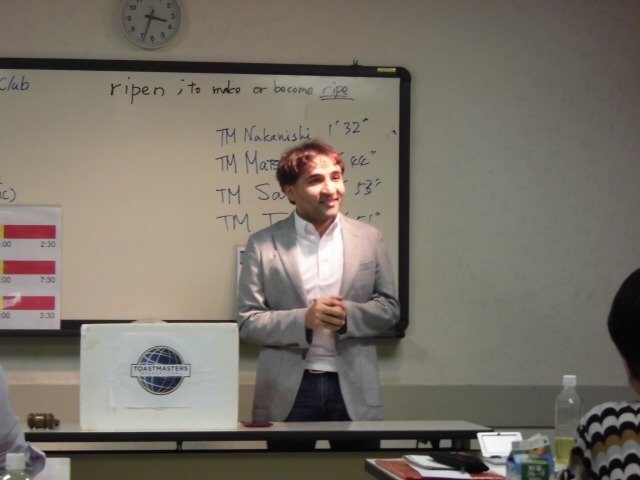 TM M.F achieved competent communication manual ＃10, first goal of Toastmasters program.congratulations!!! TM R.K introduced a beer factory tour in his speech. 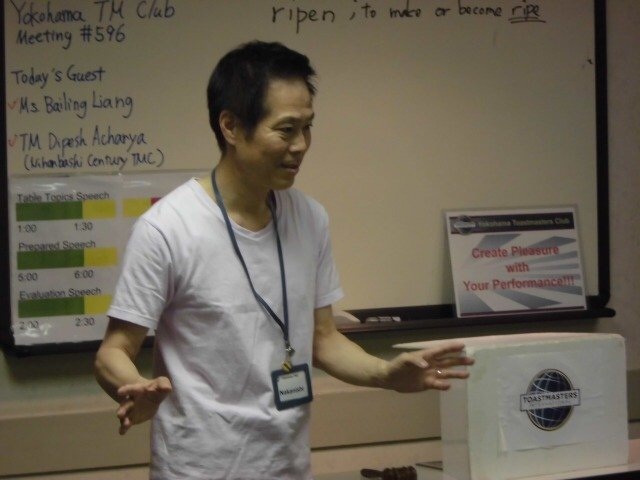 By getting comments of audience members who had actually participated in this tour, he entertained us. 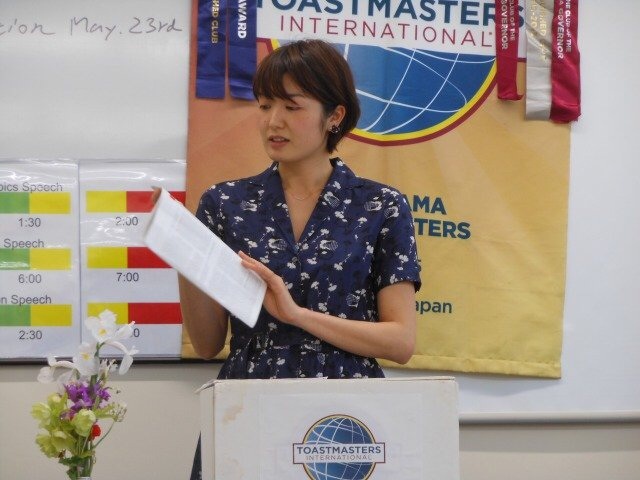 TM Y.Y challenged new project of Advanced manual, Humorously Speaking.She talked about her side trip, after going to visit her father in hospital, with a very funny story. 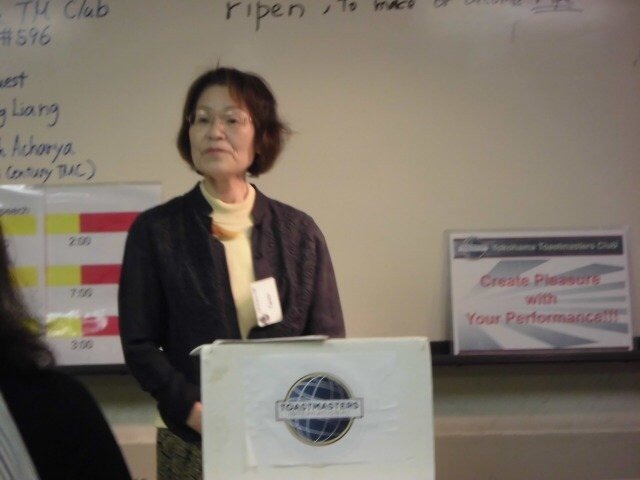 And in tips session,TM T.N introduced various access to Toastmasters information,both analog and digital. In order to catch vivid news, his introduction seemed very useful. we could break though much higher step.